An unfamiliar environment, a new set of relationships and the differing expectations of a new role are some of the challenges graduate midwives face as they transition from undergraduate student to confident midwifery practitioner. The graduate midwife needs to adapt to a new role and responsibilities, continue to learn and deepen her understanding of clinical practice and navigate professional networks, referral pathways and environmental culture. These challenges can be mitigated by transition programmes which are focused on providing ongoing education to support learning, strong mentoring support and positive feedback which values the individual. 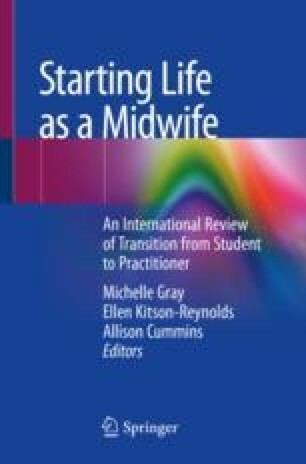 This chapter explores how the midwifery profession in Aotearoa New Zealand provides support for new graduate midwives to support them to develop confidence during their first year of practice.